Bollywood produces the highest number of movies every year even more than Hollywood. Getting success in Bollywood is definitely not a calk walk. Many leading actresses have had a very hard time finding success and fame in the Hindi film industry. 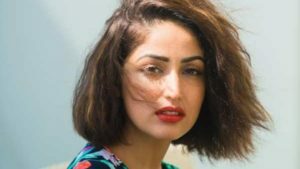 Yami Gautam is one of the beautiful actresses in Bollywood. But do you know she has done a lot of the movie in the south Indian movies industry? such as Hero which is a Malayalam movie, opposite Prithviraj. Shilpa Shetty has done a lot of roles in Bollywood movies in the 90s. While She made her Telugu film debut with 1996’s Sahasa Veerudu Sagara Kanya opposite superstar Venkatesh. Kriti Sanon is a novice in Bollywood. She debuts in Bollywood with movie Heropanti alongside Tiger Shroff as the lead actress. She has done also in south Indian movie. She starred in Nenokkadine which is a Telugu movie and is currently working on her second Telugu film. Priyanka Chopra, who rules both Hollywood and Bollywood with her excellent acting skills, is also a part of the South Indian movies. She did Tamil movie Thamizhan in 2002. Moreover, she also made a singing debut in Telugu in the same movie. The former Miss Universe acted in a lot of South Indian movies including Ratchagan which is 1997 Telugu movie. Sen also made a special appearance in the Tamil movie Mudhalvan.